The North Island features many attractions and these come in the form of scenic beaches, harbours, mountainous regions with tramping trails and innumerable regional parks, such as those of Cornwallis, Hunua Falls and Tapapakanga. Various day trips are quite possible from the city of Auckland, with a series of interesting towns and villages being within driving distance. Many tourists find that the museums and historic buildings within the harbourside suburb of Devonport are especially appealing. Located on the western side of Auckland is the Kaipara Harbour, which serves as the biggest harbour in the whole of New Zealand and stretches for some 60 km / 37 miles, providing a channel into the Tasman Sea. 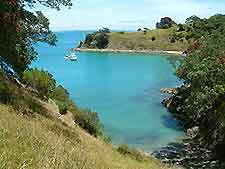 The attractions of the Hauraki Gulf Islands offer a further excursion from Auckland, with particular highlights including the Great Barrier Island, Matangi, Motuihe, Motutapu, Tiritiri Matangi and Waiheke, where lighthouses, nature reserves and sanctuaries are often to be found. Daily ferries connect the most popular of these islands, departing from the main ferry terminal and also the Gulf Harbour, nearby the Whangaparaoa Peninsula. The city is home to more than 20 large regional parks covering in excess of 98,850 acres / 40,000 hectares, all of which are administered by the Auckland Regional Council (ARC). 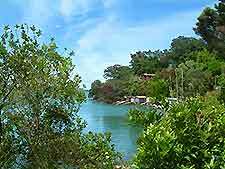 Within easy reach of the city, these regional parks include coastal areas, sandy beaches suitable for swimming and a variety of water sports, scrublands, walking / tramping trails, camping grounds, native wildlife and breathtaking mountainous areas. The regional parks always make for a popular day out, with some of the most popular including Atiu Creek, Awhitu, Cornwallis, Hamlins Hill Mutukaroa, Hunua Falls, Karekare, Mahurangi, Pakiri, Tapapakanga, Tawharanui and Whatipu. 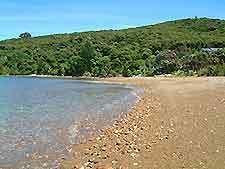 Devonport is situated on the outskirts of Auckland, at the end of the North Shore Peninsula. Rich in local heritage, attractions here include Victorian and Edwardian buildings, the Devonport Museum, the Naval Museum, Cheltenham Beach and North Head - a historic reserve, full of tunnels built in the late 19th century in case of invasion. Of note, Devonport is best reached by ferry from the downtown district. West of Auckland is home to a dramatic landscape, with coastal areas, exceptional surfing conditions and over 100 walking / tramping trails. Less that an hour's drive from the city centre, this spot includes many world-class tourist attractions, such as vineyards around Henderson and Kumeu; the picturesque Waitakere Ranges, which contain the Centennial Memorial Park; Bethells Beach in the Piha area; the spectacular Lion Rock; and Muriwai Beach, with an enormous and extremely famous gannet colony nearby in the Muriwai Regional Park. 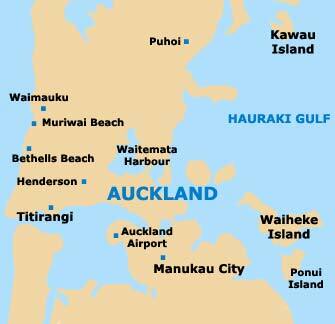 This area is also where you will find Helensville and Kaipara Harbour, the largest harbour in the whole of New Zealand.